Nowadays you often see things in Art which make you take a second look. 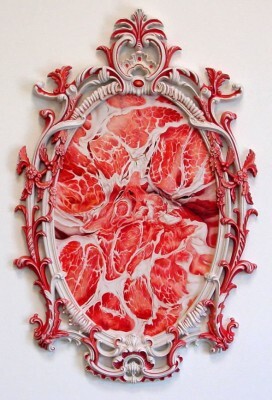 The talent of the artist themselves to observe objects so much that they create a piece that appears as many other things, but is with us everyday.Now this may not be art for vegetarians but it certainly is interesting to look at. 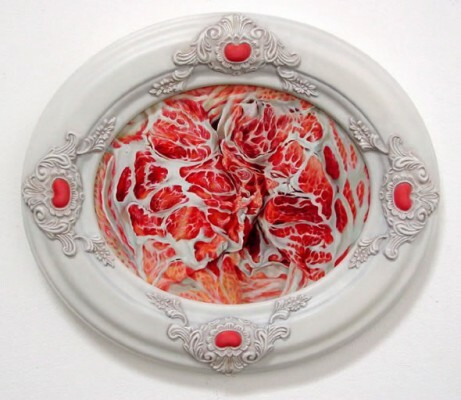 This is Los Angeles Artist Victoria Reynolds uncooked meat art. Victoria has been using the unique muse in her art for around 8 years now. Victorias art is having quite the affect on its viewers, some seeing the work as beautiful, while also calling on some peoples gag reflex. The Artist refers to Biblical Paul, who she says was probably a gay male living in a homophobic society. And also how in the 15th and 16th Centuries meat was often referred to as the weak flesh. 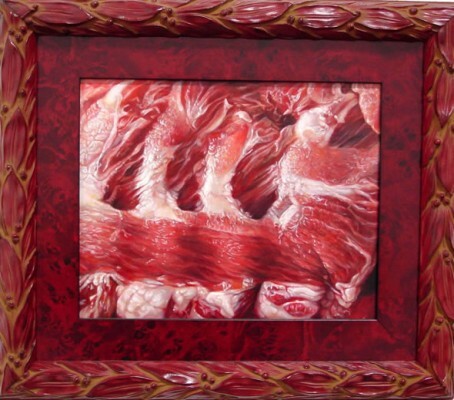 Victoria uses some amazing and intricate frames, often referred to as over the top or excessive, which she often paints to match the meat. 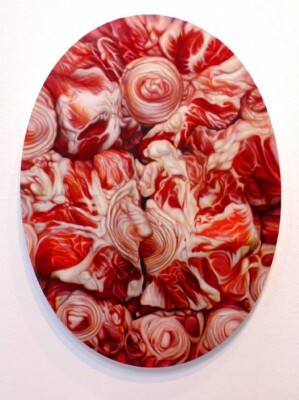 Her art has almost always centered around food, but with these pieces she really makes the meat look abstract and often floral. 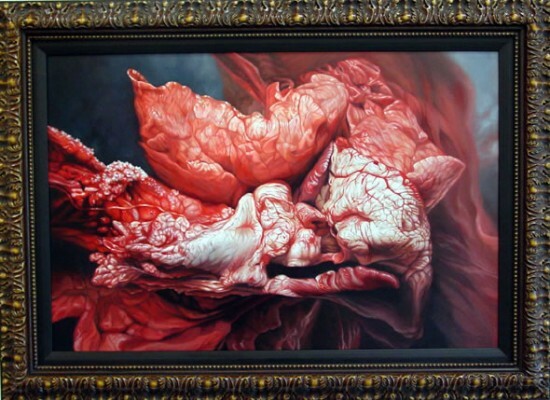 So take a look at the menu of paintings they may leave you feeling a little peckish. There is honour among thieves.